This December has pretty much been one long fishing trip far away from the familiarity of my home water on the Rogue River. I ventured west of the Rogue Valley to explore new waters on the Oregon Coast in pursuit of an early winter steelhead or two. 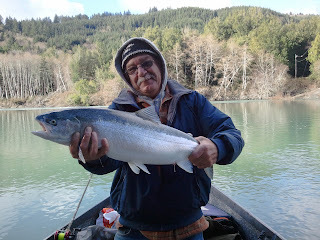 My journey brought me to the Chetco River near Brookings, Oregon, and it was a shiny success as you can see from the happy angler below (My Dad). We were fishing on 12/12/12 and the fish luckily bit very close to high noon. The trophy steelhead below couldn't resist a well presented Mag Lip 3.5 made by Yakima Bait Company. 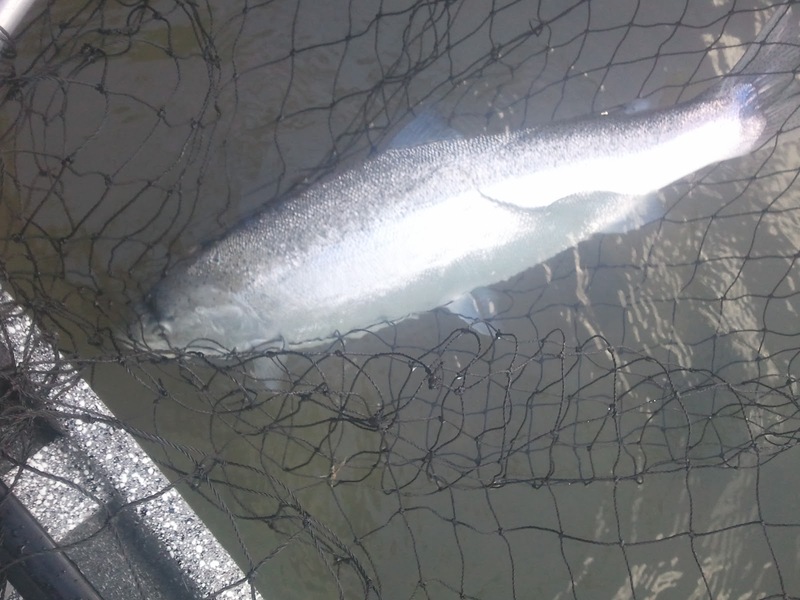 With the brood stock hatchery program on the Chetco River both wild and hatchery steelhead here can reach trophy sizes; large enough to entice steelhead anglers from all over the west coast and beyond. Due to the proximity of where we are fishing to the Pacific Ocean, the fish are chrome as they come and full of fight, all any steelhead angler is looking for out of their catch. 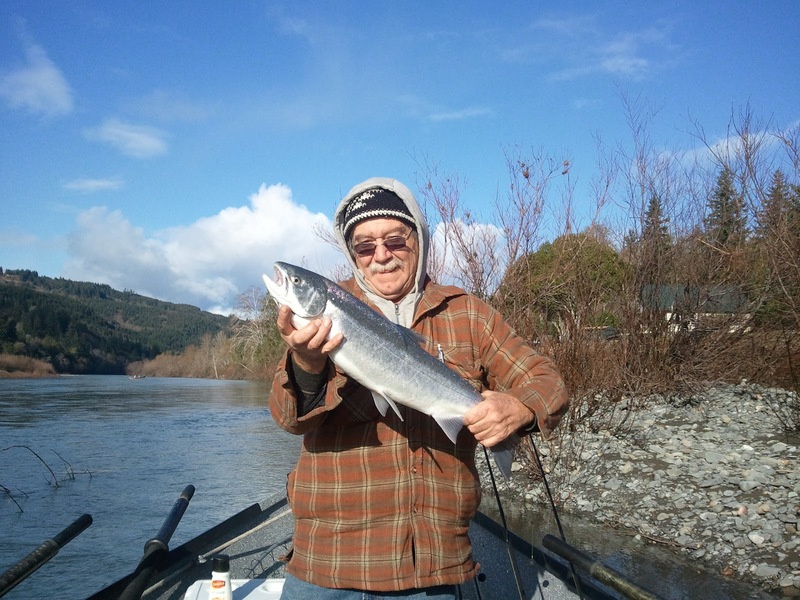 A mere seven miles from the ocean, an angler can literally catch a winter steelhead within hours from when it entered fresh water. Even though I encourage the releasing of wild fish, an angler is allowed to keep a 1 Native steelhead a day and 5 per year if he or she wants too. If the angler does release their wild fish, there are also plenty of brood stock hatchery fish around for the taking. A "brood stock hatchery steelhead" is a specimen created by hatcheries from trophy sized native fish that local anglers catch using a rod and reel. The angler is given a live well fit for a big steelhead and if they catch a trophy sized native fish out of the Chetco River they put it in their live well, call ODFW then they pick the fish up and transport it to the hatchery. From there workers at the hatchery retain fish eggs and milt to produce baby hatchery fish with the potential to get huge like their trophy sized parents. Good job Dad! Way to get um' to the net!